I’m sure that this Father’s Day weekend the Freshly Pressed feed will be filled with hundreds of touching stories about great fathers. Well la-de-da, aren’t you special? What if you never got your father’s or WordPress’s approval? I’m creating a new award for all of us who have created great posts that are creative, thought-provoking, funny, and original, and have never received the Freshly Pressed award that we so obviously deserve. My, nay, OUR award is the Freshly Pissed award. You can award it to yourself or another blogger who has never been Freshly Pressed but who obviously deserves it. This entry was posted in Humor, Throwback Thursdays, Uncategorized and tagged blogging, Freshly Pissed, Freshly Pressed, The Phil Factor, WordPress. Bookmark the permalink. Some blogs are just too unique for that mess. Brilliant! Just what many of deserve, being Freshly Pissed! I much prefer your award….it has character! Then give yourself an award! You deserve it. 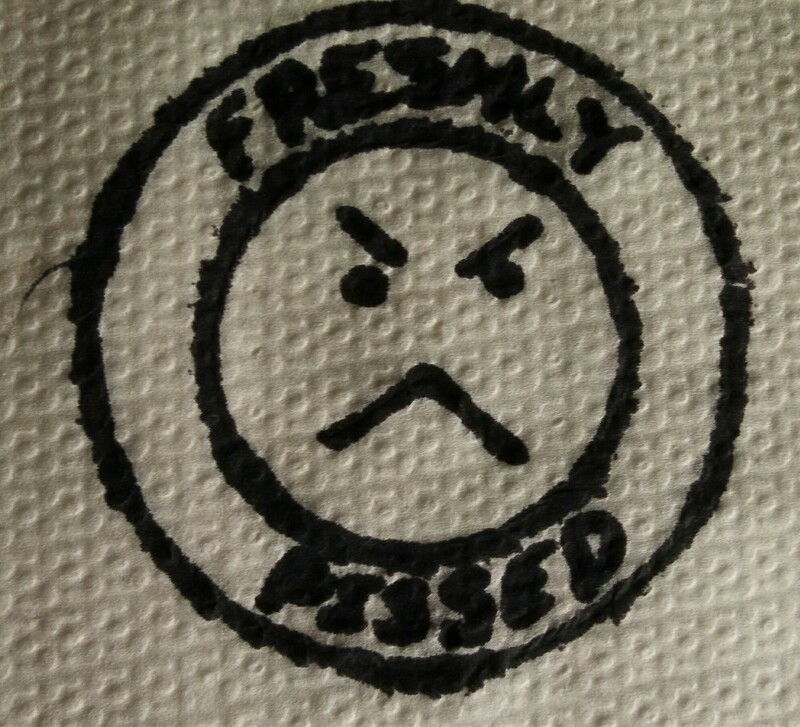 I get freshly pissed most evenings. Great award, Phil. I’ve never felt more disheartened. Then by all means award yourself a Freshly Pissed award!